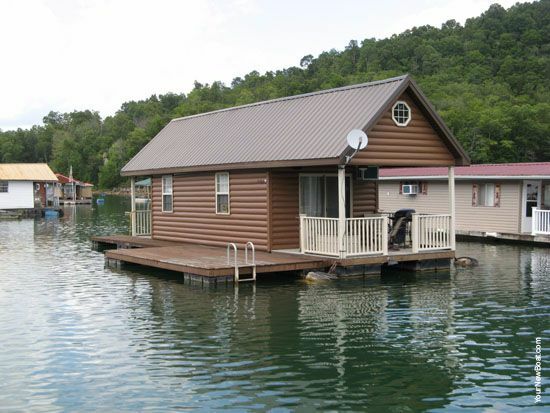 Norris Lake in East Tennessee has an interesting collection of floating homes. This cozy 493-square-foot (45.8-square meter) cottage is just one of them. 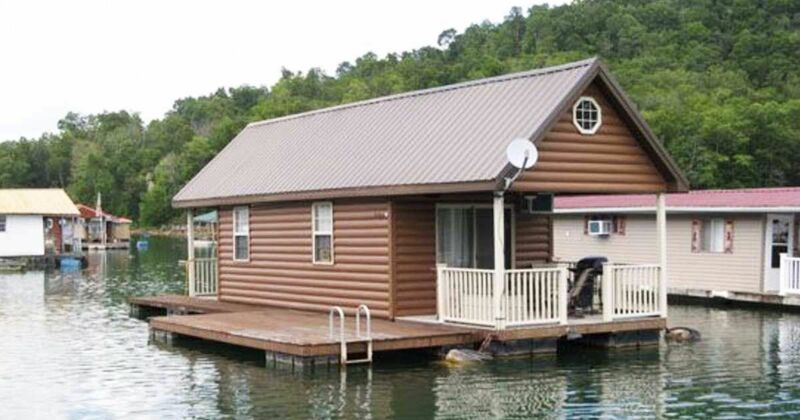 Behold, a cottage that floats. Literally. Plain and simple. Its siding and railing are both made with vinyl log, giving the impression of a traditional wooden cabin. Come a little closer to find a covered deck area with all your summer party essentials. 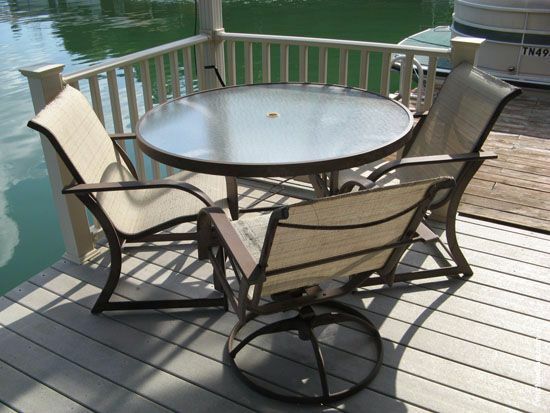 Along with a gas grill, an outside table will help you feel like you're fully embracing the house's lakeside charm. Indoors, the living area's decor invites us to relish the marina lifestyle. 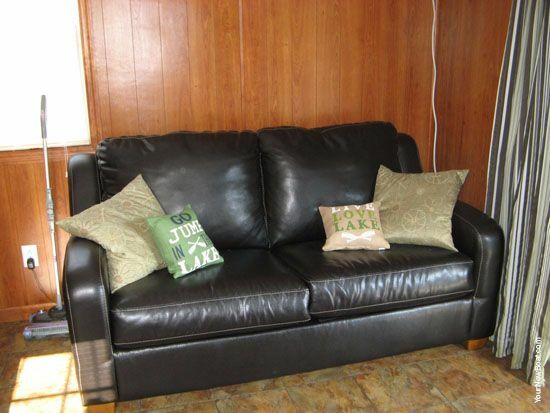 That's a sleeper sofa, by the way - ideal for guests or for a simple afternoon snooze. 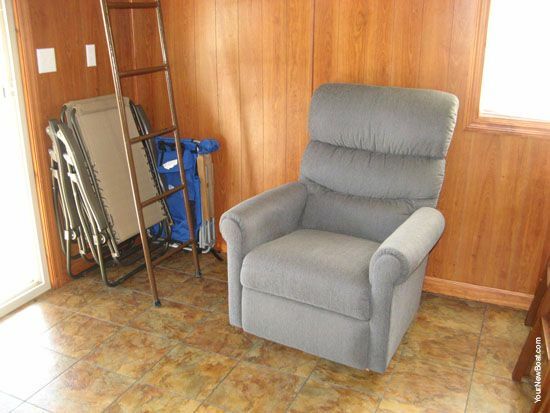 There are even extra chairs handy if you're feeling hospitable. Gotta love the sand colored floor tiles in this floating home, too! 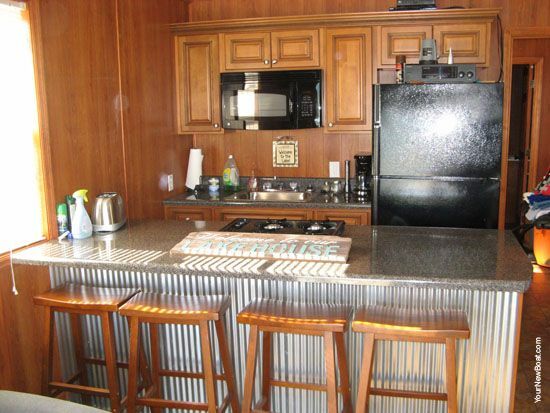 Quite an interesting contrast between the breakfast bar's counter and its supporting metallic structure, right? And if you feel like being part of your own cooking show, the four-burner stove is fitted right in front of it. In case you haven't noticed, the house's delicate decor serves to remind us of its buoyant roots. 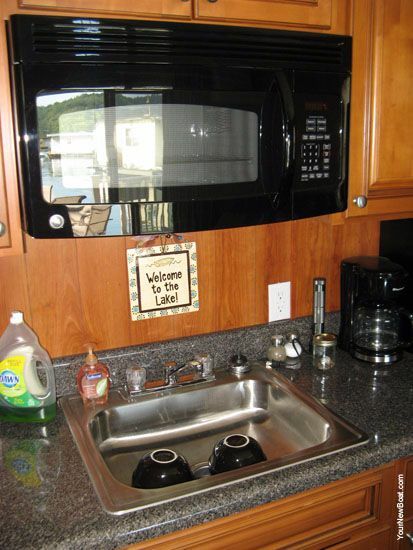 Welcome to the lake, and enjoy your fully-equipped galley! 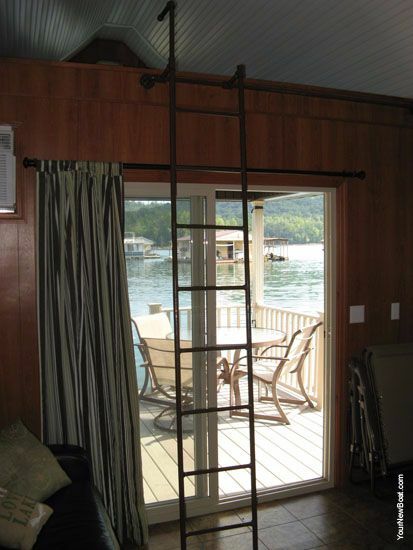 Want to venture a guess as to what this ladder is for? 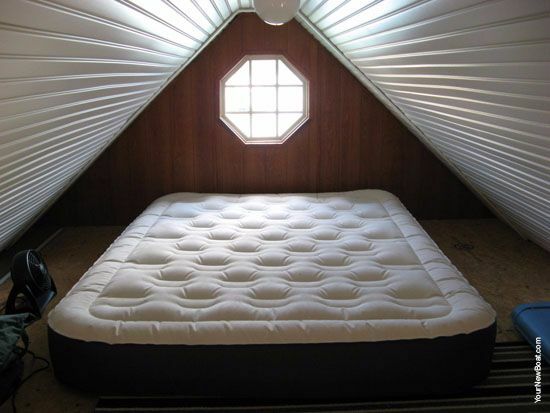 Not that this is the only bedroom in this floating home. 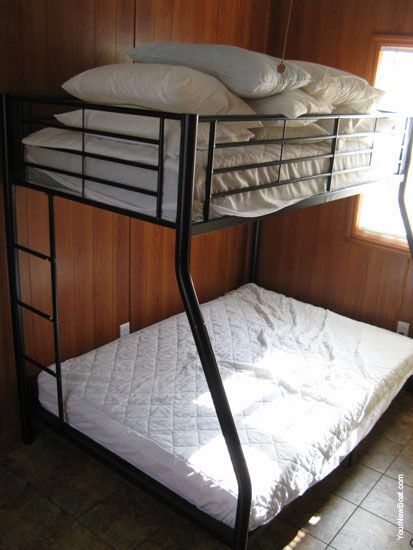 Back downstairs, you'll find a cozy set of bunk beds neatly tucked away from view. Finally, we have a bathroom with a full-size shower and all your standard amenities. 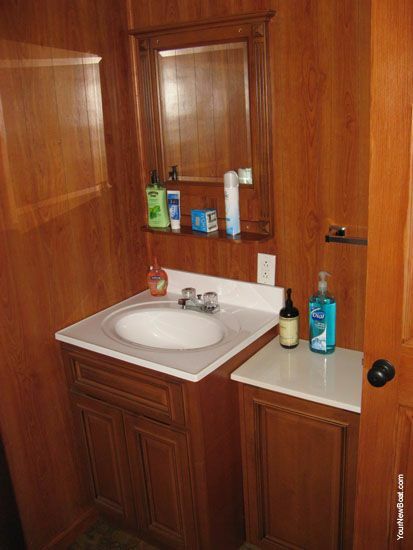 Here, the white basin and counters are nicely accented by its surrounding wooden finish. 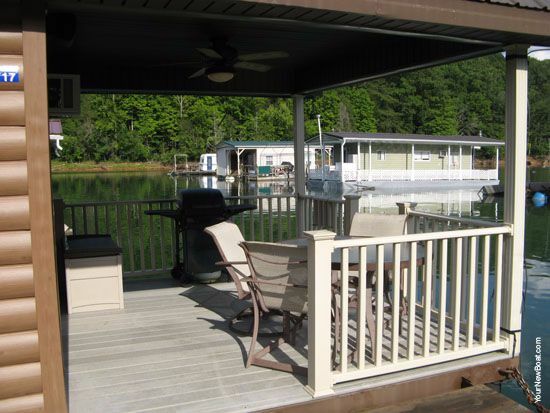 Small but mighty, this Norris Lake darling is well-equipped for a comfortable lakeside stay. All your furnishings are there, and it even brings us some of the on-land tiny home features that we all adore. When a floating home rental company promises a 'home on the water''experience, you're compelled to delve a little further. It's always worth celebrating those who are able to deliver.